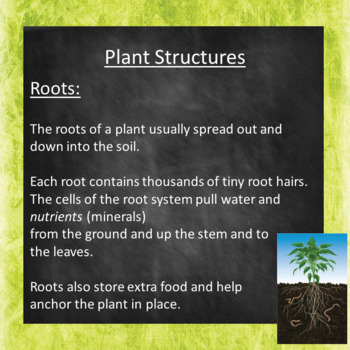 This 37 slide PowerPoint focuses on plant structures and their roles in food production, support water and nutrient transport, and reproduction. 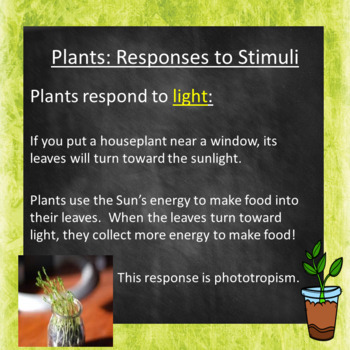 It also describes how plants respond to three different stimuli (light, gravity, and moisture). 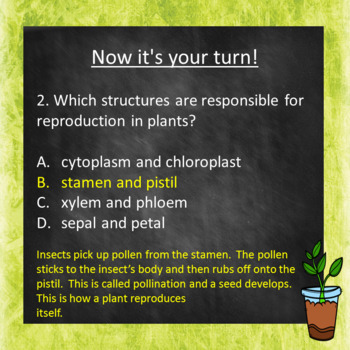 This lesson also includes review questions students can complete with a partner or independently, and an exit ticket at the end of the lesson. 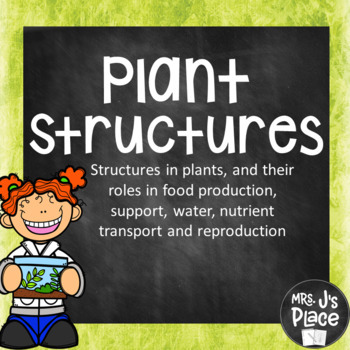 Although this hits on third grade standards, it is great for review for fourth and fifth grade standards, which build on these standards.